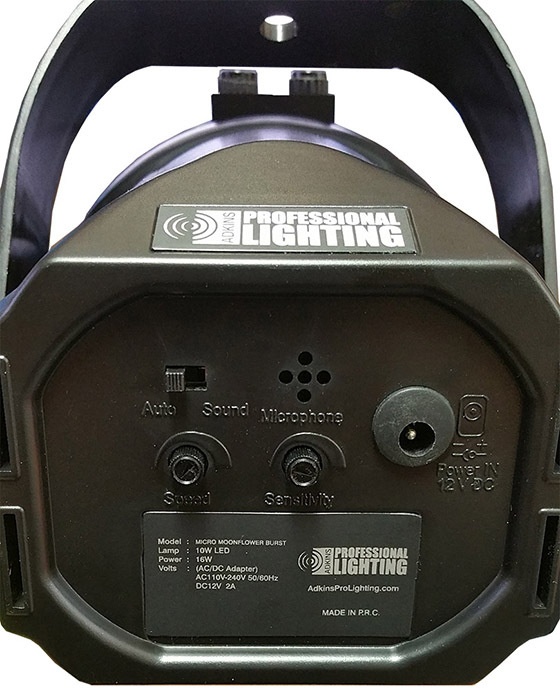 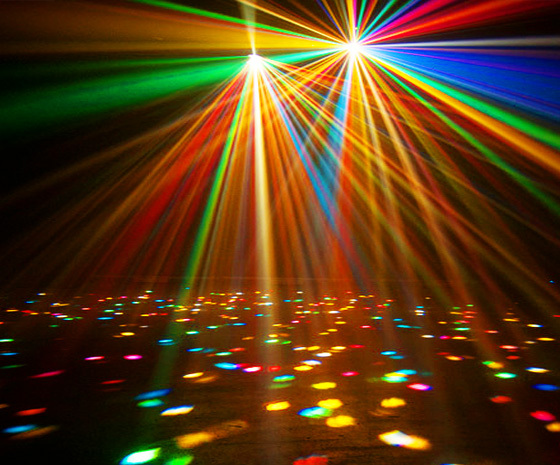 This is a great DJ light for Night Clubs, Bars, DJs, Wedding DJs, and Wedding receptions. 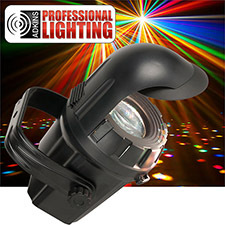 The Adkins Professional Lighting Micro Moonflower Burst is a Moonflower effect that looks like hundreds of pieces of colorful confetti being projected around a room. With it?s low power consumption, long life LED source, and it's ease of use, the Micro Burst is a great effect that brings pure lighting excitement to parties, karaoke events, small bars and clubs, and for home use.